We have comprehensive experience in air conditioning installations in Northern Beaches, Frenchs Forest, Balgowlah, Beacon Hill, Cromer and Warriewood. From residential homes and high-rise apartments to commercial offices and shops. A split system air conditioner’s highest adeptness and long-term dependability are directly linking with the quality of the installation. As you will see with some of our illustrations, air conditioning installations can vary significantly. Whether it be noise factors, visual considerations or worries about limiting approach or space around your home, it is beneficial to get a thought of what can and can’t be done and the alternatives you need to ensure you are satisfied with the locations of both the indoor and outdoor units. What’s Special About The A/Cs We Provide? If you want to install the machine in your roof space, Bennett Air Con shall require removing the tiles, sheets, or whatever is covering the roof, to place the fan coil internally in it. We also expect to find an appropriate area to put your outdoor unit. This area has to be free from all range of obstacles and ideally, tidy free. 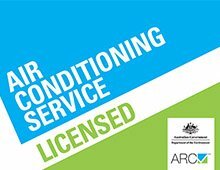 Why Choose Bennett Air Con Air Conditioning Services Northern Beaches? The Manufacturers 1-year Warranty backs all installations performed by Split System Services and also covered with our 5-year installation guarantee. 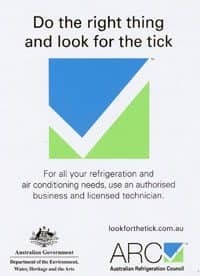 We do complete air conditioning installations across Beacon Hill, Frenchs Forest, Northern Beaches, Cromer & Warriewood. Multi-Head Split System Units, Cassette Style, and Ducted Systems. Split System Services also supply and install Multi-Head split systems units with up to 6 internal units operated by the one outside group, and we can cater a solution to suit your heating and cooling needs. We also install commercial Cassette style units and Ducted air conditioning.